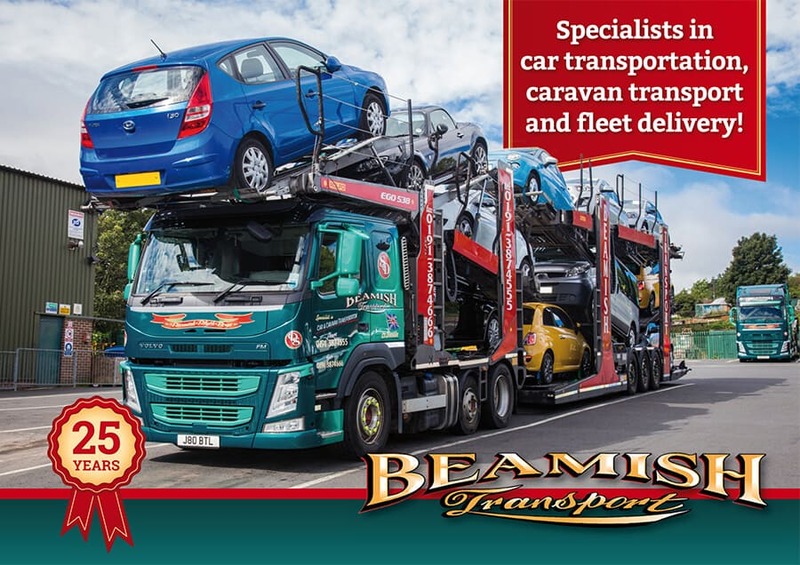 Beamish transport are specialists in car transportation, caravan transport and fleet delivery. They provide vehicle delivery services throughout mainland UK. 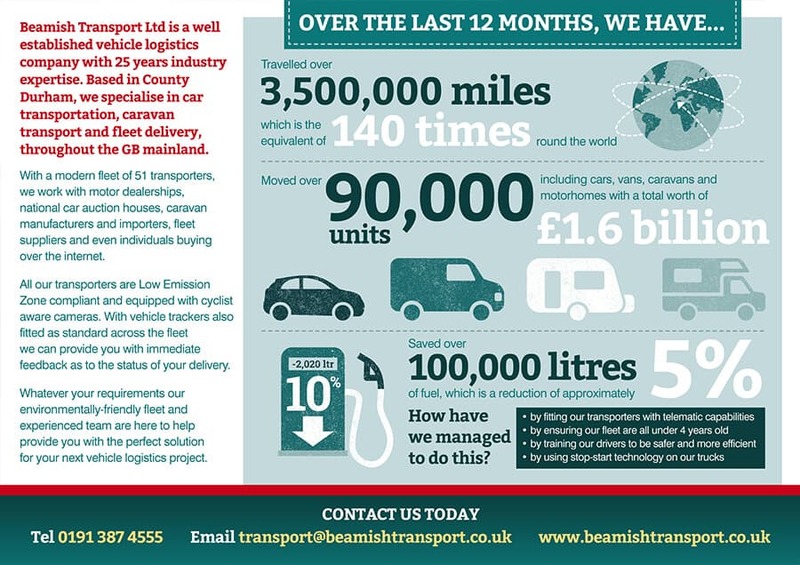 Beamish Transport’s aim is to revolutionise the way delivery vehicle services is delivered to customers. Through a hand picked team of skilled, uniformed professionals. Their remit was to have a website that reflected this message to their customer marketplace. 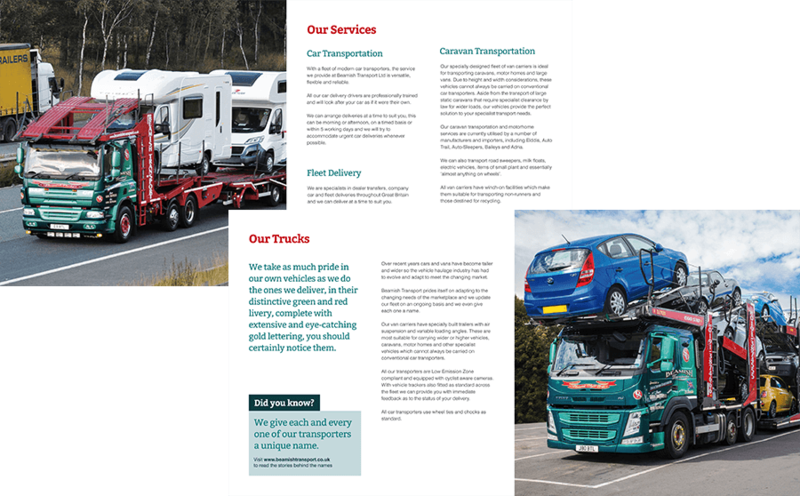 Beamish Transport commissioned web design Newcastle agency, Urban River, to create a new website and supporting marketing materials. Which, as a result would support their growing business. Beamish Transport has a distinctive style throughout their vehicle livery. Therefore they required the new website that would reflect this retro look and feel. Urban River created a style to fit with their vision. Each one of the Beamish Transport trucks has a unique personality. This includes a name and profile that can be found on the website. This is popular with the Lorry Spotters community, because all trucks are featured on the lorry spotting website. Urban river created an in-depth order functionality for ease of use online. Urban River continues to work with Beamish Transport on a monthly SEO service. This service ensures visibility in the various keyword search terms. Also continuous improvement in search engines. 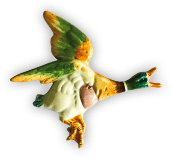 Therefore, helping their potential customers find them easily in Google. In addition to the web design and SEO service. Urban River also created various marketing materials. 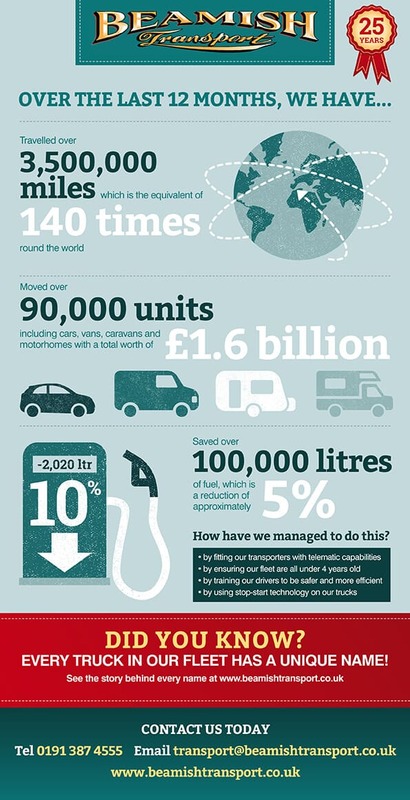 Therefore displaying the impressive facts and figures of the company to their audience. Beamish Transport are continuing to expand and innovate year on year and Urban River continue to deliver successful results. 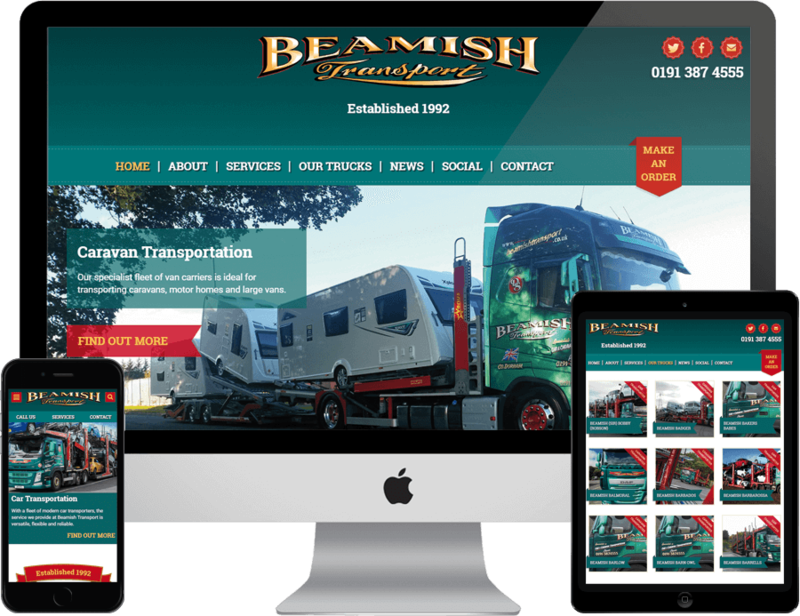 Beamish Transport has built an enviable reputation working with motor dealerships, national car auction houses, caravan manufacturers and importers, fleet suppliers and even individuals buying over the internet.